In May 2003, WINE Railcar Products celebrates 100 years serving the industry with quality parts. On July 6, 2018, the U.S. Government issued another round of tariffs. Unfortunately, there are some D.A. International Casting Co. products that have been impacted. David Kerrigan, President/CEO of D.A. International Casting Co., expressed extreme disappointment in the recent tariffs. “History has proven that tariffs like these do not work. Instead, such tariffs usually escalate into trade wars which result in higher prices for consumers.” D.A. International will continue to monitor the situation very closely and do everything in the company’s power to continue to provide top quality castings and forgings at a competitive price. Below is the letter sent to some of the company’s customers that were hurt by the tariffs. D.A. International Casting Company is proud to announce a new partnership with Tealinc Ltd. on the Rapid-Release Cam Lock Assembly. D.A. International’s Rapid-Release system is the most advanced manual door lock system specially designed to allow one person operation from either side of the car. This system assures that unloading open top hopper cars is easier, safer and more efficient. Tealinc, Ltd is a dynamic results-driven company that specializes in transportation solutions for shippers, railroads and investors. Tealinc, Ltd. buys and sells railcars and locomotives to the shipper, railroad and investor community. They also supply railcars through operating leases. The Rapid-Release system is designed using the same technology as the proven single door cam lock system, but requires fewer parts than that of a pair of single door cam locks. With one cam lock system, a pair of hopper doors can be operated from either side of the rail car by one person. It is easy to install on new or existing conventional hopper cars since it features standard mounting hole locations. Be sure to check out our Videos section for more information on the Rapid-Release. Tags: D.A. International Casting, D.A. International Casting Company, David Kerrigan, Rapid-Release, Rapid-Release Cam Lock, Tealinc, Tealinc Ltd.
For the third year in a row, D.A. International Casting Company was a proud sponsor of the Columbus Blue Jacket Foundation Golf Outing. The Blue Jackets players, coaches, management and staff all take part in the team’s annual golf outing which raises money for the Blue Jackets Foundation. The foundation was established by team founder John H. McConnell back in 2000. McConnell wanted all members of the Blue Jacket organization to help improve the quality of life throughout the community with a focus on the areas of pediatric cancer; children’s health and safety; and youth and amateur hockey development. “Soupy” after sinking the shot. Since 2000, the Foundation has given $6.4 million to nonprofit organizations in central Ohio. But the foundation has always been about more than financial gifts. The players and staff spend significant time away from the arena, visiting and working with kids, parents, coaches, teachers, doctors, nurses, and others, all in support of our signature cause: the health and safety of local young people. It was very important to McConnell that the team be directly involved in helping these causes. As excitement builds over the upcoming 2015-2016 Columbus Blue Jacket’s season, David Kerrigan, President/CEO of D.A. International Casting Co., joined the team for the 2015 CBJ Corporate Golf Outing at The Lakes Golf & Country Club. Dave and Heather Kerrigan had the pleasure of playing with former Blue Jacket Fredrik Modin. During his time with, the Columbus Blue Jackets, Modin served as an alternate Captain. He is also one of the elite members of the Triple Gold Club having won the Stanley Cup with the Tampa Bay Lightning, and Gold Medals both in the Olympics & the Ice Hockey World Championship while representing his home country of Sweden. Only 26 hockey players hold this honor. The excitement for this new season could be felt all over the golf course. 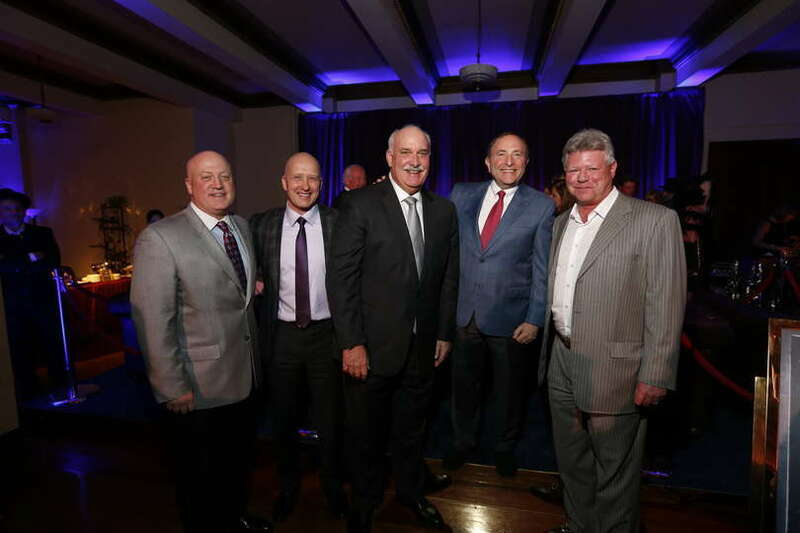 John Davidson, president of Hockey Operations, and Jarmo Kekalainen, CBJ General Manager, we are also in attendance and are looking forward to see their off-season work play out on the ice. Coach Todd Richards told Kerrigan that it’s fantastic to see players like Brandon Saad join the Blue Jacket team, but he’s just as excited to see young players like David Savard and Ryan Johansen return to the ice as better, more experienced players. The hockey world is already taking notice of this new and improved team. In fact, Sportsnet recently named the Columbus Blue Jackets one of the most improved teams during the off-season. The CBJ checked in at number seven. David Kerrigan, President & CEO of D.A. International Casting Company, joined the fun at the 29th Ronald McDonald House Golf Classic held on July 13. The event is hosted at five of the top golf courses in the Columbus area to raise money for the Columbus Ronald McDonald House which provides extensive services for the families of seriously ill children. The outing was started by Joe Mortellaro, friend of Kerrigan and owner of numerous McDonalds in the state of Ohio. The inaugural event was back in 1984. It was held at a public course in Mt. Vernon, Ohio, and they served Quarter Pounders for lunch & dinner. They event raised $4,000. Today, Joe’s golf tournament grosses about $350,000 for a one-day event. Since that first outing, the Ronald McDonald House in Columbus has grown from an 18-room house to the largest Ronald McDonald House in the world! This year, the tournament was thrilled to have Urban Meyer, Ohio State University (OSU) head football coach, and Thad Matta, OSUBasketball head coach, as honorary co-chairs of the event. “In fact, just a few years ago, the Columbus Ronald McDonald House decided to rename the tournament the ‘Joe Mortellaro Ronald McDonald House Golf Classic’ in honor of Joe’s generosity and dedication to the organization,” added Kerrigan. D.A. International Casting Company’s CEO & founder, David A. Kerrigan, was invited to speak to a senior Ohio State University marketing class today. This is the second time Mr. Kerrigan was asked to address the class about his challenges and successes in the world of international business. Kerrigan spoke to the class about his numerous entrepreneurial experiences over the past 35 years. However, his main message to the students addressed D.A. International Casting Company’s success in the international marketplace. Mr. Kerrigan emphasized the importance of long-standing relationships with business colleagues abroad. He explained that much of the success of D.A. International Casting Co., is based on over 20 years of working with people that have the strong business morals and work ethic. Kerrigan was honored to learn he will address the class again this fall. To kick-off the NHL All-Star game weekend in Columbus, Ohio, David A. Kerrigan, President/CEO of D.A. International Casting Company, joined some former NHL All-Stars for an All-Star Alumni game on the outdoor rink at the All-Star Winter Park presented by Worthington Industries. The event took place at the Scotts Miracle-Gro Community Rink, where fans lined the glass to catch a glimpse of former Blue Jackets like Fredrik Modin, Andrew Cassels, and Jody Shelley. Current Blue Jackets assistant coach Brad Larsen also took to the ice with members of the Blue Jackets hockey ops department for a less-conventional morning skate. It was a great way to welcome folks to Columbus for an incredible weekend of All-Star fun. “Where being bad is good” was the theme for The Crease, a one-of-a-kind underground speakeasy party to raise money for pediatric cancer research. With $600,000 raised by the Blue Jackets Foundation on Thursday night, it’s safe to say there was plenty of good done. The story behind The Crease is unique; when planning for the 2015 NHL All-Star festivities in Columbus, the Blue Jackets Foundation sought to do something different and something memorable to support its signature cause. 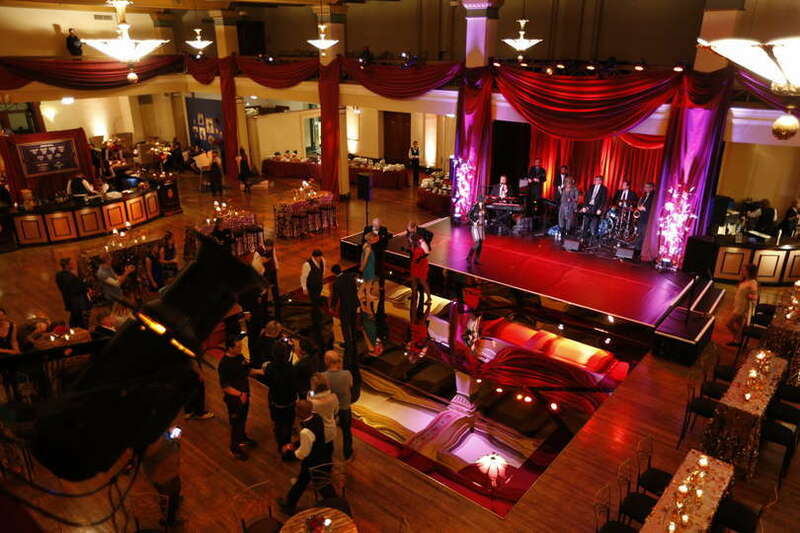 Hosted at the legendary Columbus Athenaeum on 4th St. downtown, the 1920s-style prohibition underground party contained few details and many secrets – but that was the plan all along. All that the party’s attendees needed was the appropriately-themed attire, a ticket and a way to get downtown. The rest was unveiled right before them, as various entertainers took the stage in the main ballroom and kept the vibe going throughout the evening. Magicians, dancers, musical acts…the night had surprises and special guests at every turn and kept attendees guessing as to what was next. Some of those in attendance: the Blue Jackets’ All-Stars Nick Foligno and Ryan Johansen, Blue Jackets majority owner John P. McConnell, president of hockey operations John Davidson, GM Jarmo Kekalainen, NHL commissioner Gary Bettman, NHL deputy commissioner Bill Daly, and several Columbus dignitaries who joined in the celebration for a good cause. The entire cost of the event was underwritten by the McConnell Family Foundation, meaning every penny raised went directly to the Blue Jackets Foundation’s fight against pediatric cancer. “The thought was to do something really special to celebrate Columbus and the weekend. It wasn’t so much about the fundraising part but more so celebrating the city, but you don’t get a gift like this from the McConnell Family Foundation and not leverage that,” said Cathy Lyttle, vice-chairwoman of the Blue Jackets Foundation. “The idea behind the speakeasy theme was fun to think about – we wanted something unique. We didn’t want to do something where everyone sits down and has dinner at a table of 10. We wanted something that was secret, where you needed a password, which was kind of analogous to Columbus. The big surprise of the night came after a “police raid,” ushering the crowd from the lower level of the Athenaeum to an upstairs theater, where emcee Johnny DiLoretto introduced Sara Bareilles, known for hit songs like “Love Song” and “Brave.” Bareilles played several of her songs, some on the piano and others on guitar, keeping the audience entertained with her trademark dry sense of humor. D.A. International Casting trade publication advertisement featuring an exploded view of WINE Double Adjustable Locks.